Two weeks after his 18th birthday, everything changes for Evan Nash. When he injures his head after being run down on his bicycle, he begins having strange, harrowing visions whenever he tries to sleep. He turns to psychiatrist Shannon Mayer for help. Mayer has troubles of her own: her daughter has been kidnapped, and she's desperate for answers. Though she's at first skeptical of Evan's accounts, it quickly becomes clear that his mysterious ailment may be the key to finding her child. The sub has been studying a group of unmarked soldiers disappearing into the jungle each night, beneath the cover of darkness. Something has been discovered - something big. 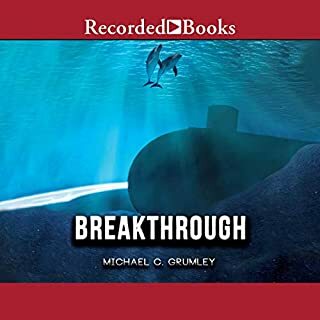 So this sequel to Breakthrough is just as good. In this book there is a Chinese war ship in Guyana along with heavy moving equipment, trucks and men who go into the jungle at night. The government has told locals they must not go anywhere near the area at night. At the same time in Brazil a preservation for animals (especially those rescued from pharmaceutical labs) has been attacked leaving many of the animals dead and the man who cares for the abducted. By who, no one knows. Allison is still working with Dirk and Sally while her coworker DeeAnn is working with gorillas using similar equipment to communicate. The man who disappeared from the animal preservation (Luke) was her mentor. The owner of the preservation believes that a capuchin monkey may hold the key but first they must find the monkey and then they must try to communicate with it. The monkey, if not dead is hiding somewhere in the thousands of acres belonging to the preservation. For some reason DeeAnn doesn't quite trust him, is he really a philanthropic old man or does he have a hidden agenda? What the heck does this have to do with the Chinese people? Guess you'll have to read it to find out! You don't have to but I would suggest that you read the first book (Breakthrough) before reading this book. It kind of gives you a feel for the characters as well as background on their relationships that is not fully explained in this book. There are also characters that appear towards the end that you will be lost about their identity and abilities without having read book one. 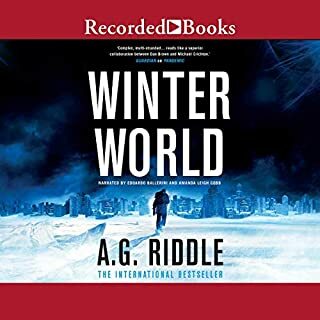 With the incredible voice of Scott Brick narrating this book sounds perfectly believable. Thankfully by the time I started this series the first 3 books were already written. I'm not sure what I would've done to get by without knowing what happens next lol. Dirk, Sally, Alison and the others are back with another mind blowing installment of this epic journey. Oh before I forget please don't use anyone other than Scott Brick to read these awesome stories!!! Anyway in this book we meet some bad guys but Clay and Cesar have it covered!!! 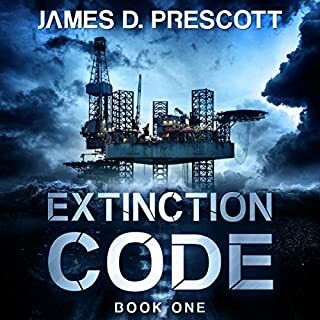 This is a twisty, turny, fast paced, well written work of awesomeness and if you're an action adventure kinda person like me then you're in for a real treat!!! I highly recommend this book and any others you can find by Michael Grumley. 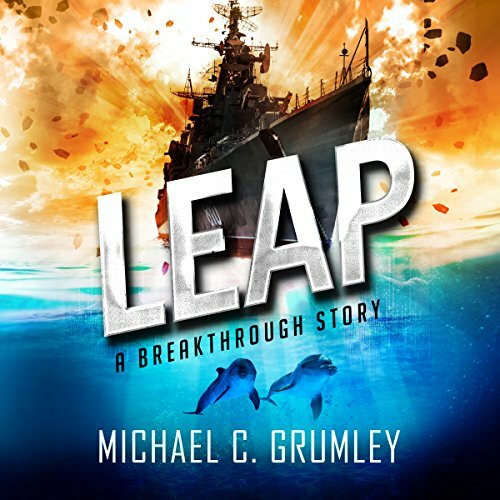 Leap is the second installment in Michael C. Grumley's Breakthrough series, and it is just as action-packed and fun as book one, Breakthrough. There's nothing abstruse or complicated about these novels; rather they are straightforward and exciting, offering characters to love and situations to transport and engross. They are precisely the &quot;summer read&quot; type of escape I look for when I pick up an adventure scifi novel. An excellent sequel, couldn't stop listening. Now I need the next one on audio!! You will not regret picking it up. The 1st book in the series was outstanding, and this one blew it outta the water, pun intended;). Same thrills and action w/ a heavy dose of the inter species communication, linguistics, and heuristic AI... Throw in some global politics/intrigue, a new species to converse w/, life extension and its repercussions, and you’ve got an even more binge worthy story... The few new characters only add to an already stellar and relatable cast.... 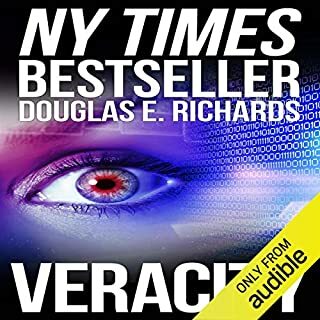 Still think more like Rollins than Crichton, but also w/ a hint, or homage, to David Brin’s uplift books... Get it already, whataya waiting for? A completely different approach to science fiction writing. I've read book 1 and 2 and they both were books that you could not put down once you started. Scoot Brick is outstanding as the narrator and he makes you feel as if you are they with all of the cast throughout the reading of the book. Can hardly wait until I am able to read the next of this series. Enjoyed both the 1st and 2nd book in this series. Looking forward to Catalyst. Thank you for your writing style, looking forward to more books from you. Just finished the book. Was. Very happy with it over all. Was very happy to see the story continues to expand on imus and it’s inner workings. Reminded me of Michael Crichton with certain topics. Onto next book. Really enjoyed this 2nd installment in the Breakthrough series. International conspiracy, ancient astronauts, fountain of youth, AI, talking animals, fantastic ideas—Leap ticked all the boxes for me. 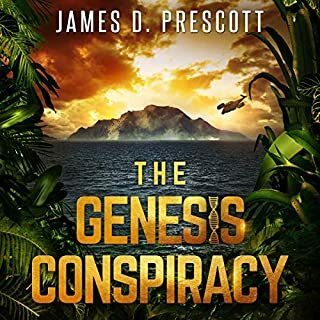 Like in the first one, there a bit of a jump in logic at one point to progress the plot and a couple of times the suspense came at the expense of the characters’ intelligence, but overall I thoroughly enjoyed this book and can not wait for the next one. 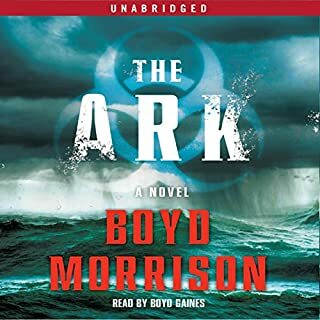 As always Scott Brick proves a stellar narrator. Michael Grumley comes through again! Excellent! Can't wait to read the next one! Keep writing... writing and writing! Scott Brick always hits the nail on the head! I love these books, great characters, just enough sci fi with lots of science and adventure. I cant wait to listen to the next one now, thank you!! An enjoyable follow up with the saga continuing to unfold, a little irritated by the romance between two of the lead characters as it feels rather incongruous and very dated.